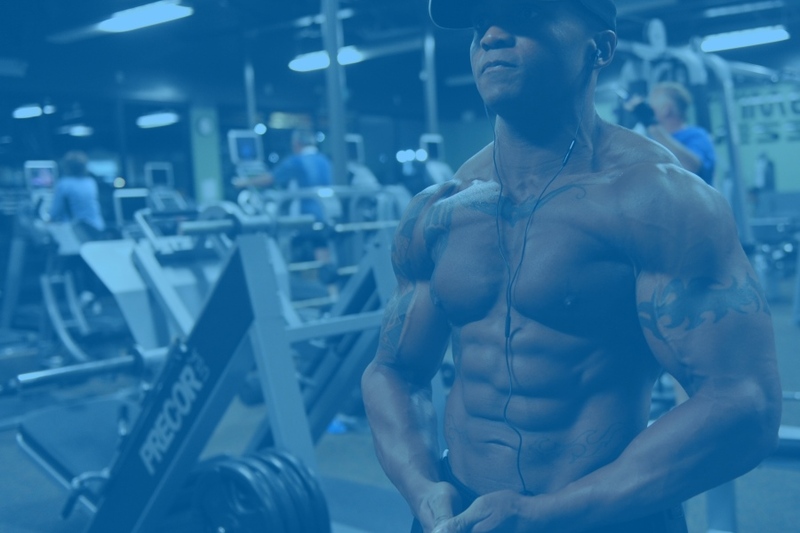 So what’s most important to you, building muscle or burning fat? Most people say, both. For most of us, dropping fat and gaining muscle is the ideal situation for almost everyone. Unfortunately, for most of us, we soon realize trying to do both is very difficult. Our bodies spend 24/7 trying to reach a state of equilibrium. However, this requires much of our metabolism is constantly either building (anabolic) or breaking down (catabolic) molecules at the same time. From a body’s perspective, your body is in a catabolic state when it reducing body tissue. The goal of reducing calories and dieting to lose fat is catabolism. We can all work hard to lose fat, nut while dieting it is possible to experience some muscle loss even while losing fat. Your body is in an anabolic state when it is working to grow and develop body tissue, opposite of catabolism. If your goal is to gain lean body mass, you will need to go over your need calories to support anabolic activity. However, anabolism can also have unintended side effects including gaining fat mass as well as lean body mass. The good news is that the negative effects can be negated with monitoring your body composition and body fat while you train. You are able to truly fine tune your diet and training plans avoiding unwanted fat gain and muscle loss. What’s Most Important: Building Muscle or Losing Fat? The first step in any fitness strategy is to determine what your goals are. Building muscle, getting shredded or maintaining what you have achieved. Regardless knowing your body composition is the right way to start your journey. It’s important to understand that body weight and body composition are not equal. You could be on what you think is an awesome diet plan and in the meantime your weightless is truly water and muscle loss, a worst case scenario. So you need to answer the question, “What’s more important to me, losing as much fat as possible, or preserving the muscle that I have, or building new muscle?” If you decide that losing as much fat as possible is your priority, you’re likely going to lose some lean body mass. If you’re focused on building your lean body mass, you will likely add some fat mass. As you begin your fitness training plan, focus on the health and fitness goal you want to achieve first: either losing fat mass or gaining lean body mass. Ready to burn some fat, you will need to put your body in a caloric deficit state in order to burn more calories than you take in to help transition to a catabolic dominate state. The combination of reducing calories and increased exercise via resistance training and cardiovascular exercise is the fastest and safest way to cut extra fat. Once you begin dieting and exercising properly, body composition testing will allow you to monitor fat loss and to determine you are losing fat and not lean body mass. If your results show you are meeting your goals, you know you want to continue with the program. Unfortunately, with being catabolic for long periods of time, you’ll start to see losses in your lean body mass as you continue to lose weight. If you have been performing strength training before cutting, you’ll likely experience some loss in strength. In contrast to losing fat, if you want to gain lean body mass, you need to have a caloric surplus. Each day you will need to have additional calories beyond what you need for the day. In order to convert those additional calories into muscle, you’ll need to work hard by lifting heavy and often. Unfortunately, gaining muscle is a slower process than losing fat. Because of this it’s important to not “bulk’ too fast. If you are doing it properly, you should see a gain in lean body mass, with little to no gain in Fat Mass. If your results show what you are looking for, continue to train. Similar to dieting, you’ll eventually start to get the unwanted effects – this time by adding fat during the bulking process. Don’t panic, as long as the bulk of your gains is in lean body mass. Additionally this cause your body fat percentage to decrease, despite your fat gains, as body fat percentage is a ration of fat to muscle. Remember adding fat mass is easy, muscle mass is hard. However, both can be accomplished independently, or at the same time – depending on how fast you want results! As you train your goals will continue to evolve. If you’ve had success with losing fat, it’s a good time to focus on building up your lean body mass. If your workout had you bulking, and you reached your lean body mass gains, but added some fat, maybe it’s time to cut some of that unnecessary fat to show off your muscle. Remember, we have found the key to success is to consistently measure your body composition and body fat. Without knowing your body composition, you won’t be able to fine tune or optimize your fitness training. Unfortunately, you will see-saw on your diet and training plan trying to “guess” what is working and what’s not. This means more workouts and diet “bobbing.” You can be in control by regularly tracking your body composition results, and you’ll be able quickly reach your goals without as much wear and tear on your body and mind.